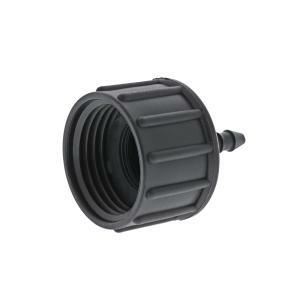 This FHTS x Barb Tubing Adapter screws directly to any male hose threads (MHT) connection point to attach a run of 1/4" (.170" ID x .250" OD) irrigation tubing. Commonly used in small (under 30' length) patio or container irrigation systems. Maximum operating pressure is 30 PSI.